HoldTight® is safe and effective on a wide variety of surfaces, delivering superior surface preparation, with proven results on land, at sea, on storage tanks, on bridges, on oil rigs and even for specialty projects like restoring vintage cars. 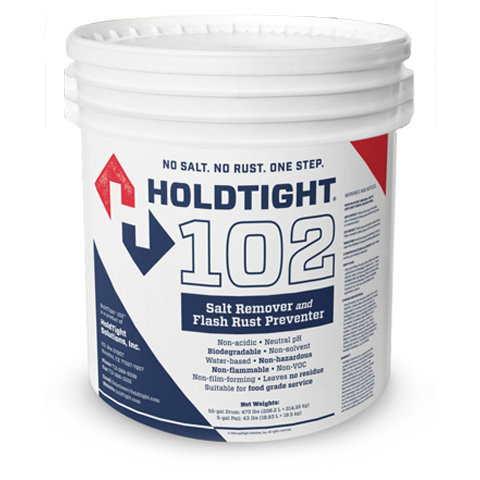 The cleanest surfaces are achieved when the product is used in both the blast and wash-down cycles at a 50 – 100 (water to HoldTight® 102) ratio. HoldTight® is the only product that extends the life and value of your assets for just pennies per application.